Jobs Description: Oil and Gas Development Company Jobs March 2019 are listed below in our site. 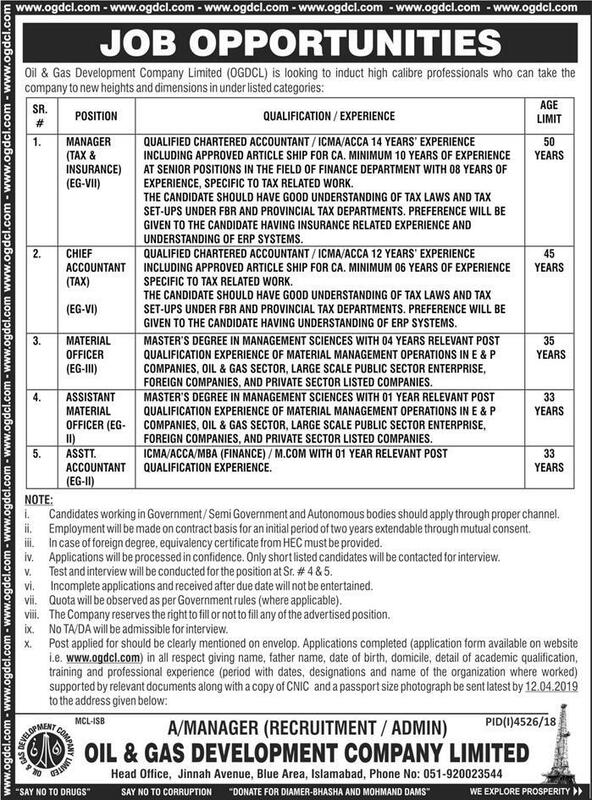 Oil & Gas Development Limited (OGDCL) recently announced an advertisement for Jobs of Manager, Chief Accountant, Material Officer, Assistant Material Officer, and Assistant Accountant. Oil and Gas Development Company has required the applications for the following jobs. How To Apply: Application form is available on Oil and Gas Development Company Limited official website. The interested candidates may send their applications to the given address in the advertisement.